Sherlock Holmes has been around for over 100 years, but he’s more popular now than ever. Currently, there are two different popular Holmes television series, set in the present day, on both British (starring Benedict Cumberbatch as Holmes) and American (Jonny Lee Miller) television. Within the last five years, Warner Brothers has produced two Sherlock Holmes movies, irected by Guy Ritchie and starring Robert Downey Jr., with a combined gross of over one billion dollars. On Amazon alone, hundreds of different Holmes titles are available for sale, the vast majority of them written by authors other than Holmes’s creator, Arthur Conan Doyle. The continued popularity of Sherlock Holmes has given rise in the last few years to a legal mystery, not as interesting a mystery as that in The Hound of the Baskervilles, but a far more important mystery from a financial standpoint. Namely, who owns the legal right to the character of Sherlock Holmes? For many years, the answer was elementary. Doyle held the copyright to the various Holmes works, and, upon his death, the rights passed to what’s now referred to as the Conan Doyle Estate (CDE). The owner of a work’s copyright has the exclusive right to distribute the work or produce new works (legally referred to as “derivatives”) based on the original. Thus, anyone wanting to legally write a book or make a movie based on Sherlock Holmes or any of the other popular characters in the Holmes books, such as Doctor John Watson or Professor James Moriarty, had to obtain the approval of the CDE any pay a sometimes hefty licensing fee. Over the years, these licensing fees brought substantial amounts of money to the Holmes estate. Over 200 Holmes movies have been made over the years, and over 75 actors have played the noted sleuth, including Charlton Heston, Roger Moore, Michael Caine, Christopher Plummer, and, perhaps most notably, Basil Rathbone. For various reasons, the estate was somewhat lax about enforcing its copyrights for a number of years, but since the 1960s, the estate has been far more efficient and businesslike in pursuing licensing fees. However, the CDE faced one enemy that proved far more deadly than even Professor Moriarty: time. All copyrights expire after a period of time (the exact time period varies from country to country). After that, the formerly protected works are in the public domain, meaning that anyone is free to distribute them or use them as the basis of derivative works. Holmes first appeared in the novel A Study in Scarlet in 1887, and by the end of the 20th century, the copyrights of Scarlet and many of the other most popular Holmes works like The Hound of the Baskervilles had expired. Although it was clear that books like Scarlet and Baskervilles were now in the public domain (at least in the United States and United Kingdom), it wasn’t quite as clear whether the characters of Holmes, Watson, Moriarty, Inspector Lestrade, and others were similarly in the public domain. Arthur Conan Doyle continued to write Holmes stories until the late 1920s, and, as of the date of this article in 2014, ten Holmes stories are still protected in the United States by copyrights held by the CDE. In recent years, the CDE has demanded that anyone wanting to write a new Holmes work pay a licensing fee based on the theory that the character of Holmes continued to evolve throughout the entire period during which Doyle wrote his Holmes books. Therefore, any modern depiction of Holmes must, of necessity, incorporate elements protected by copyright, and, according to the CDE, the character as a whole is thus protected. Rather than get involved in a legal battle with the CDE, most authors of new Holmes works paid licensing fees to the estate. These licensees included Warner Brothers, producers of the recent Guy Ritchie/Robert Downey Jr. Holmes films, and the CBS and BBC television networks, which broadcast the new Holmes TV series in the United States. One person who definitely did not want to pay any more licensing fees was Leslie Klinger, a noted Holmes scholar (and, not coincidentally, a lawyer) who was in the process of editing In the Company of Sherlock Holmes, a planned collection of new Holmes stories by contemporary authors. Klinger had paid a licensing fee for an earlier Holmes collection, but this time, he filed suit against the CDE. 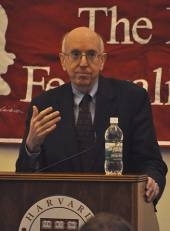 The court agreed with Klinger, in an opinion by Judge Richard Posner, saying “When a story falls into the public domain, story elements—including characters covered by the expired copyright—become fair game for follow-on authors.” The court specifically rejected the argument that the characters of Holmes and Watson were “rounded” and continued to evolve in the last ten Holmes stories so that the Holmes and Watson characters of necessity incorporate elements from the last ten stories. 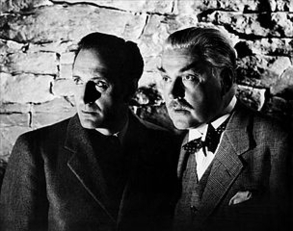 Instead, the court ruled that Holmes and Watson were complete, distinctive, copyrightable characters from the time they first appeared in A Study in Scarlet in 1887, and, when the copyright on Scarlet expired, so too did the copyright on Holmes and Watson. Similarly, subsequently introduced characters like Moriarty lost their copyright protection when the works in which they were first identified passed into the public domain. Unless the CDE appeals and the U.S. Supreme Court decides to hear the case, the Seventh Circuit opinion, in all likelihood, will be the final word on the subject. To add insult to injury, the court ordered the CDE to pay Klinger’s rather substantial legal fees in the case as well. So, what, if anything, of the Holmes canon remains protected by copyright? Certainly, the last ten stories themselves, their plots, and any characters first introduced in those stories remain protected. Further, any additional character features (like the existance of a second wife for Dr. Watson) that were first introduced in the last ten stories are protected. For the most part, however, Holmes and Watson are now fair game for any writer or film producer. This decision is obviously good news for Leslie Klinger and the numerous other authors contemplating writing new Holmes stories. It’s also good news for some upcoming movie projects. Set for release in 2015 is Mr. Holmes, directed by Bill Condon, in which an aging Holmes (played by Ian McKellen) tries to piece together the details of a 50-year-old case. In addition, Guy Ritchie, Robert Downey Jr., and Jude Law (Watson to Downey’s Holmes) have committed to another Holmes movie. The Klinger decision has wider legal implications that go well beyond 221B Baker Street, as other popular literary characters near or pass “retirement age.” A similar lawsuit about Zorro’s copyright status is already working its way through the courts, and this recent decision will likely be persuasive in the Zorro case. Similarly, Agatha Christie’s most popular characters, Hercule Poirot and Jane Marple, are now in the public domain in the United States, even though Christie wrote books featuring them in the 1970s. 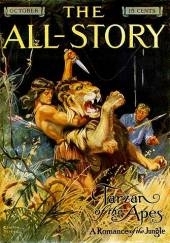 Tarzan is also in the public domain, although Edgar Rice Burroughs’ last Tarzan book was published in 1947. The biggest copyright battle of all may be coming in just a few more years. Mickey Mouse first appeared in the cartoon “Steamboat Willie" in 1928, and, under the current law, the copyright on the cartoon—and on Mickey as well—is due to expire in 2023. That doesn’t mean that Disney will lose all its protection on the character, since the current appearance of Mickey and virtually every other major Disney cartoon character is still protected by trademark, which won’t expire in 2023 or, potentially, ever. Still, an American legal system that’s had more than its share of Mickey Mouse lawsuits over the years could be in for a whole bunch more.